The 100% polyester spun jersey of our Long-Sleeved Nine Trails Shirt wicks moisture, breathes freely and dries rapidly, but looks and feels like cotton. 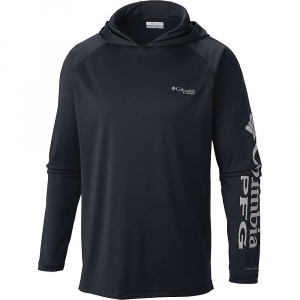 The unique combination of comfort and technical fabric yields everyday versatility, complemented by active details like set-in sleeves with underarm gussets for chafe-free range of motion, Polygiene(R) permanent odor control, no tags for no itch, and a locker loop to let it dry until tomorrow. Reflective logo on left chest keeps you visible. 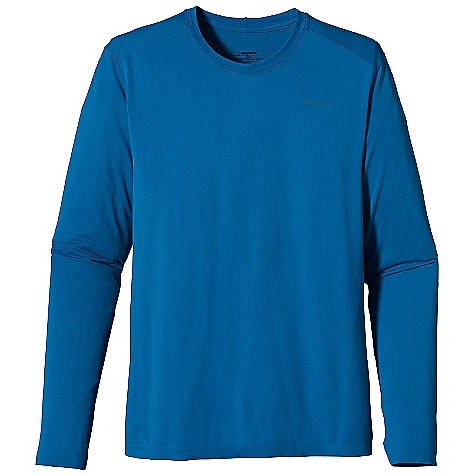 How does the Patagonia Nine Trails Men's Long-Sleeve Shirt combine such casual comfort with technical performance' No one's telling, but it's a good bet that the super soft, breathable, and moisture-wicking polyester, underarm gussets, and Polygiene antimicrobial treatment have something to do with it. 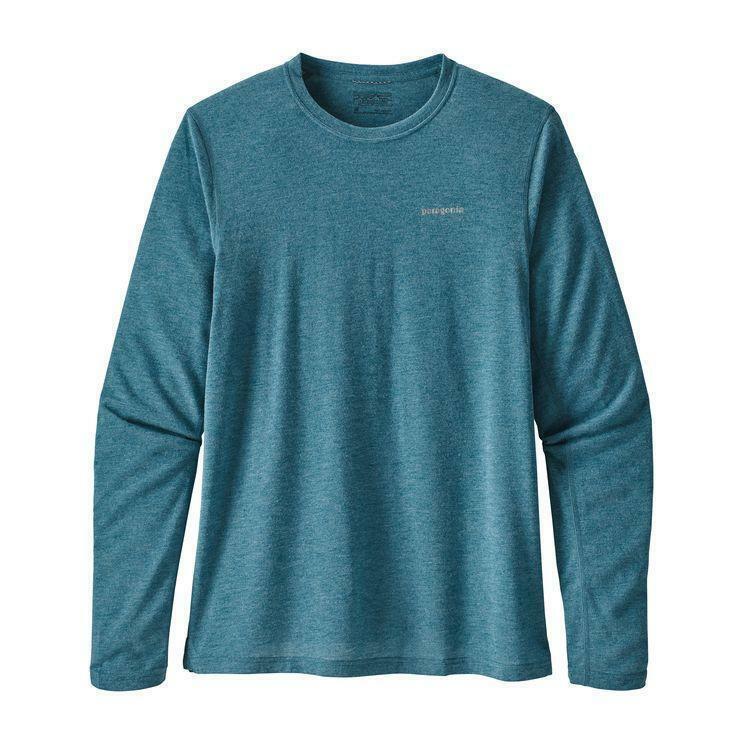 The Patagonia Men's Long-Sleeved Nine Trails Shirt combines the comfort of a t-shirt with the technical benefits of wicking, fast dry times and odor control. 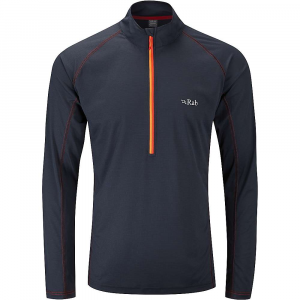 It's a running shirt in disguise, given its laid-back appearance and soft, supple hand that delivers high-end performance. The 100% polyester spun jersey of our new Long-Sleeved Nine Trails Shirt wicks moisture, breathes freely and dries rapidly, but looks and feels like cotton. The unique combination of comfort and technical fabric yields everyday versatility, complimented by active details like set-in sleeves with underarm gussets for chafe-free range of motion, Polygiene permanent odor control, no tags for no itch and a locker loop to let it dry 'til tomorrow. Reflective logos on left chest and center-back neck keep you visible if you play in traffic. 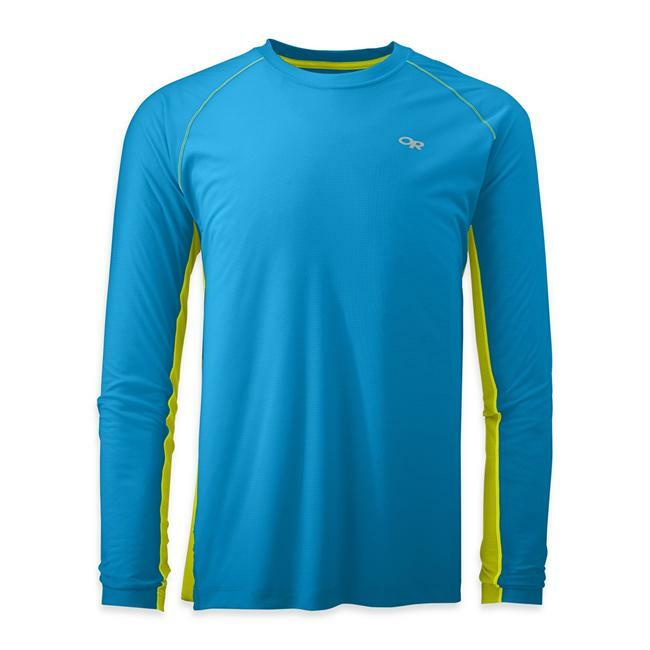 Heathered polyester jersey with Polygiene permanent odor control has a cotton-like feel, but the performance of a technical shirt . 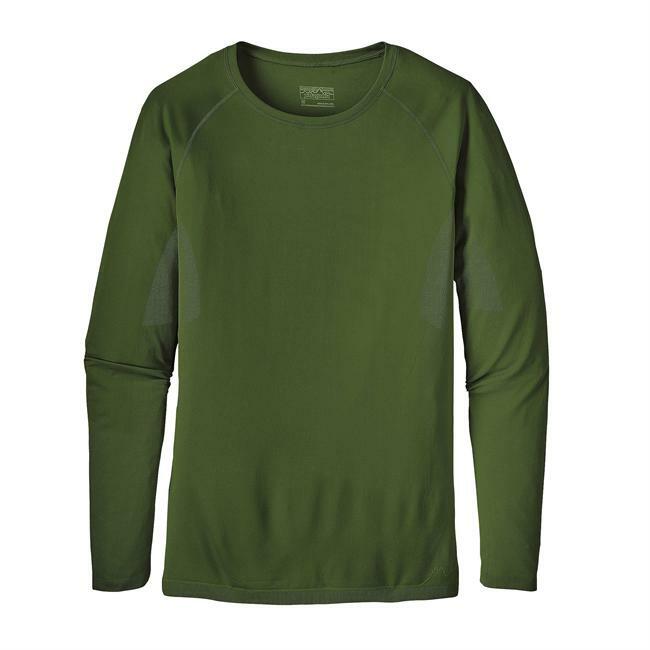 Comfortable jersey knit crewneck wicks moisture and won't bind . Set-in sleeve construction with underarm gussets for chafe-free comfort and range of motion . Locker loop lets you hang it up to dry . No tags for itch-free comfort . 4-oz 100% spun polyester heather jersey with Polygiene permanent odor control. Fabric is Bluesign approved . 170 g (6 oz). Change your scenery, not your top. For days that start in the cafe and end on singletrack, the Patagonia Nine Trails Shirt offers daily-wear comfort with wicking, fast drying and technical benefits. 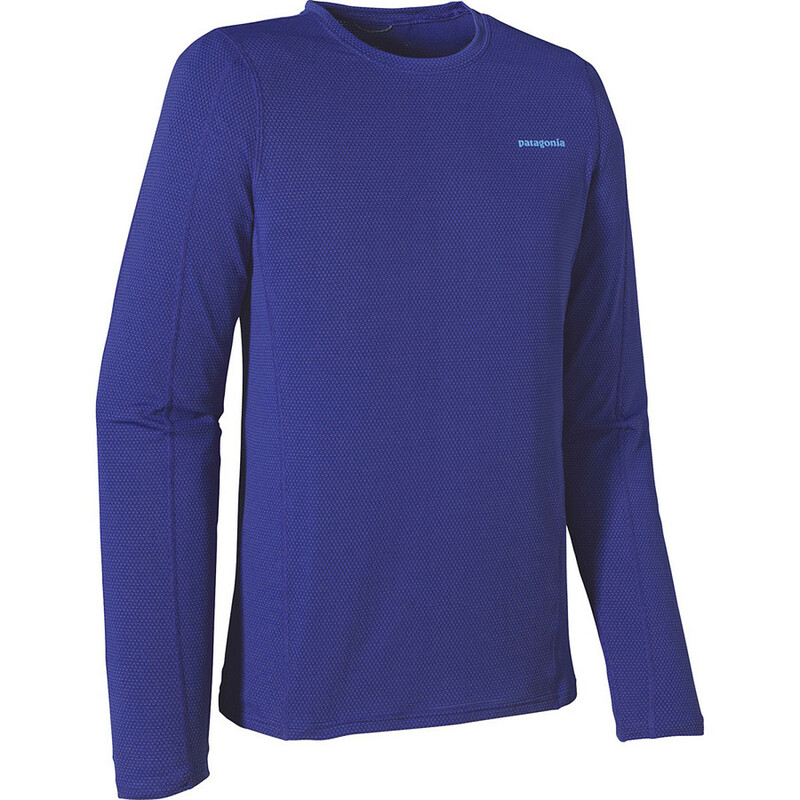 The Patagonia Men's Long-Sleeved Nine Trails Shirt is not available from the stores we monitor. It was last seen April 17, 2019	at Patagonia.com.